Medecins Sans Frontieres (MSF) has said it is “disgusted” by Afghan government statements justifying an air strike on its hospital in Kunduz, calling it an “admission of a war crime”. Medical teams in Afghanistan have become target for US bomber jets. MSF said the statement implies US and Afghan forces decided to bomb the hospital because of claims Taliban members were inside. On Saturday the Afghan defence ministry said “armed terrorists” were using the hospital “as a position to target Afghan forces and civilians”. 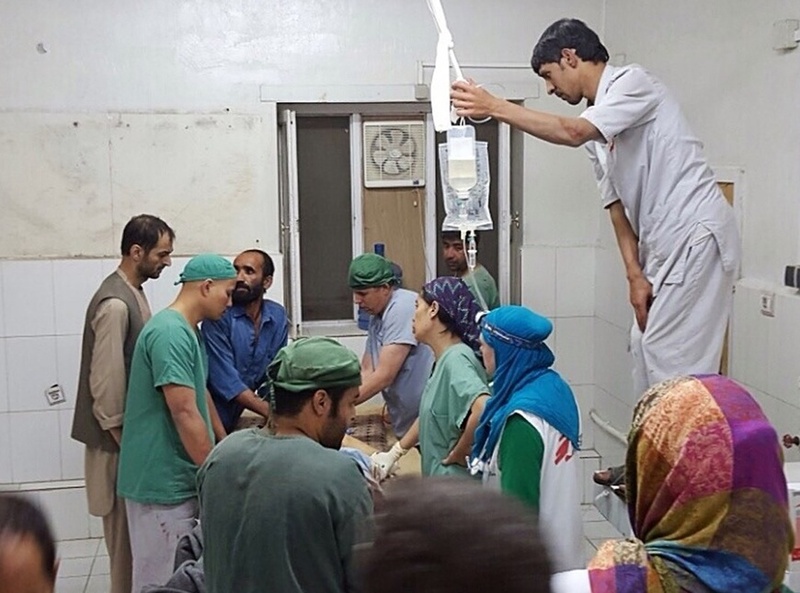 MSF said in a statement: “These statements imply that Afghan and US forces working together decided to raze to the ground a fully functioning hospital – with more than 180 staff and patients inside – because they claim that members of the Taliban were present. US Defence Secretary Ashton Carter said on Sunday that a full, transparent investigation would be conducted into whether the US military could be linked to the attack. War is a horrible thing, a crime against humanity. To bomb a hospital amount to a punishable war crime, as long as the building was not involved in combat operations. If there is no respect for the Warsaw convention and rules of engagement of war, there will be only barbarianism left. When the Afghan-US alliance accuse the hospital in Kunduz of giving medical care to Taliban terrorists, they give no valid excuse for bombing the hospital. The concerned commanders should be arrested, and urgently be presented before the War Crimes Tribunal in the Haag. This will probably never happen. The US Military forces feel it is untouchable. The Pentagon is above all laws, and can do whatever it desires. May Jesus the Messiah have mercy on all deceived souls, who loose their life for nothing.